If you loved The Office, you’ll be especially stoked about this news. No, it’s not a revival; we’re still holding our breath for that. 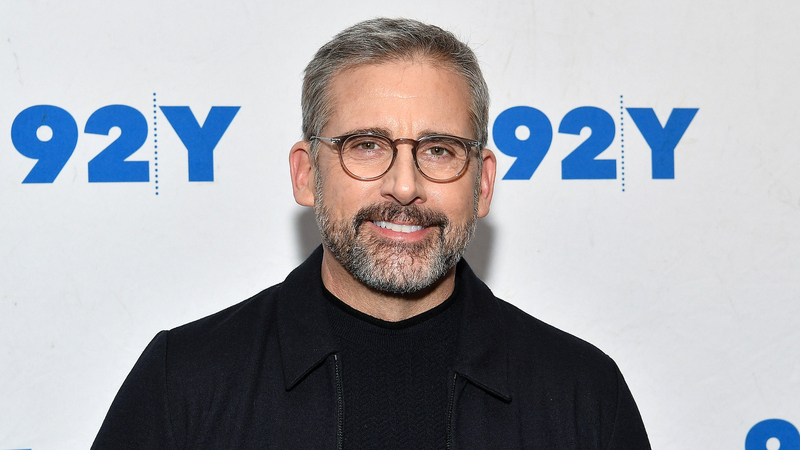 Steve Carell has partnered with Greg Daniels for Space Force, a new Netflix comedy series that will document the trials and tribulations of a different kind of workplace than Dunder Mifflin. E! News reports that Carell has signed on to co-executive produce and star in Space Force, which is centered around the team of workers who are tasked with creating a sixth branch of the armed forces. The outlet notes that President Trump talked about the creation of a Space Force last year. The Carell- and Daniels-led Netflix series will be a fictional take on what that could look like. Carell and Daniels cocreated Space Force, with Howard Klein on board as another co-executive producer. Fans of The Office will recall that Daniels acted as showrunner for that series, as well as Parks and Recreation and King of the Hill. Although no other cast or crew has been announced for Space Force as of yet, knowing that he’s behind it with Carell co-piloting and starring feels like a guaranteed recipe for success. On Wednesday, Netflix released a teaser trailer for the series that already points toward a hilarious time for viewers. In addition to Space Force, Carell is also starring in an untitled Apple TV drama that costars and is executive produced by Jennifer Aniston and Reese Witherspoon. Since leaving The Office in 2011, these two TV gigs are his first in eight years. We’re excited to see Carell regularly on our screens again.